FUJIFILM North America Corporation, Graphic Systems Division continued to demonstrate their inkjet technology leadership at Labelexpo within their highly successful “What’s Changing” themed booth. Attendees filled the Fujifilm booth to experience live demonstrations of Graphium, a hybrid UV inkjet press with a modular design, which provides the ultimate in flexibility as it combines inkjet, flexographic printing and finishing, all inline; and they also learned more about Fujifilm Clarity Water Wash Flexo Plates and Fujifilm Flexo inks. 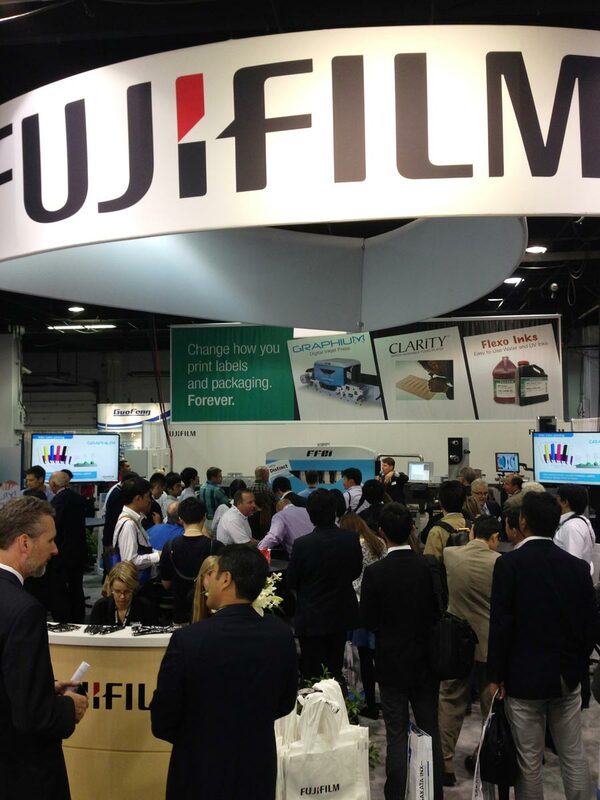 Follow Fujifilm Graphic Systems Division on Twitter @FUJIFILMGS, and watch for tweets from #GraphExpo and #NowYouCan.